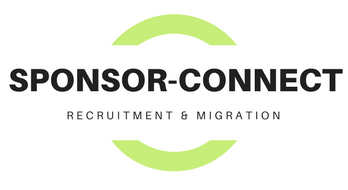 Our tailored migration pathway planning service combines the expertise of recruiting, labour market, regional employment knowledge and Australian migration law. We look at options for skilled and/or sponsored migration. The assessment is in the form of a report that explains your eligibility for migration by visa category. The assessment is done by our team of experienced migration professionals. Our team also consults widely with industry bodies to understand changes in labour market conditions and how this can affect our clients’ eligibility. The report will provide advice with present AND future labour market trends in mind. We may also be able to provide you with advice and insights into possible short and long term work assignments in Australia that could boost your skilled and sponsored migration potential. Our migration and job network professionals look at the obvious, immediate and easy solutions for you. But they do not stop there. They also think outside the square and try to find as many options for you as possible. This way, you can work on one, two or three pathways at the same time. This maximises your chances of successful migration in a shorter period of time. Only our team of recruitment and migration experts have a finely tuned methodology to seek out the best options out for you. As a special inclusion for selected clients who meet eligibility criteria, we will attempt to put you in touch with employers requiring your unique skills for short term job assignments in Australia. This is a way to showcase your skills and abilities to an Australian employer as well as having the opportunity to check out your future homeland! Getting started simply requires ordering your migration pathway planning.